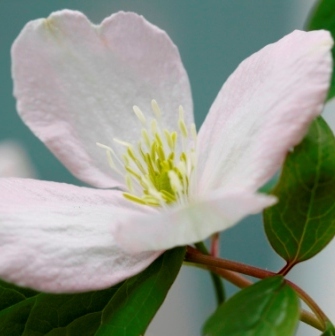 A beautiful vigorous climber… Clematis montana Elizabeth is easy to grow and has pale pink flowers with a vanilla scent. Eventual height and spread is 30 metres x 10 metres so you’ll need plenty of space for this Clematis. Climbs with tendrils.